Note: This review was originally posted at Heroes & Heartbreakers. It also assumes you are up to date on the Night Prince series. If you aren’t, check out Chelsea’s review of Once Burned. 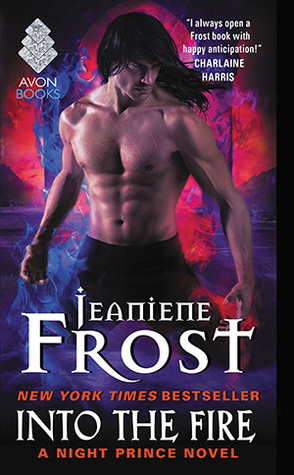 There are so many elements I look forward to in a Jeaniene Frost novel. A heroine to be the heartbeat of the book and keep its pace. A hero who is undeniably devoted and worthy. A well-rounded ensemble cast that I enjoy butting in instead of grumbling at time away from the OTP. Into the Fire achieves all of these, but manages to accomplish a few bonuses. The Night Huntress (a.k.a. Cat and Bones) novels carried a heavy urban fantasy backbone. The Night Prince (a.k.a. Vlad and Leila) novels, so far have tread far closer to traditional paranormal romance. Into the Fire brings that mystery pacing of urban fantasy back to the forefront, and lets the whodunit be the primary arc—while Vlad and Leila’s love for one another drives it. Speaking of our OTP Vlad and Leila, Frost does a fantastic job making their relationship relatable—they aren’t perfect and not all their problems are vampire problems—and making sure we see the love and devotion driving them. Though, admittedly, we see more single-mindedness from Vlad than Leila. Impalers, am I right? Vlad and Leila’s romance simmers steadily, and it was nice to be back with them. Into the Fire also opens the Night Prince world. We learn about more magic, different kinds of magic, and even meet new creatures. 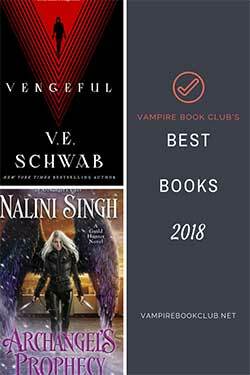 You didn’t think vampires, shifters, ghouls, ghosts, and necromancers covered it, did you? The door is opened wide for Frost to take the core of Night Huntress/Night Prince and do something new and fresh. And that means Ian. He’s been causing trouble for years, and getting a rise out of every heroine who’s met him. He’s got a spinoff coming his way, and he plays a prominent role in Into the Fire. 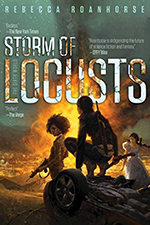 The novel sets up his own arc beautifully and gives us the biggest dose of Ian we’ve had in a very long time, if ever. He’s the only one who gets off on being zapped by Leila’s electricity, which should make for a very special book when his arrives. Into the Fire is sure to be a hit with longtime fans of both Night Prince and Night Huntress. And if you’ve been waiting for your Ian book, consider Into the Fire the appetizer.